Comes with ORANGE ALBUM CD and ORANGE ALBUM VINYL! 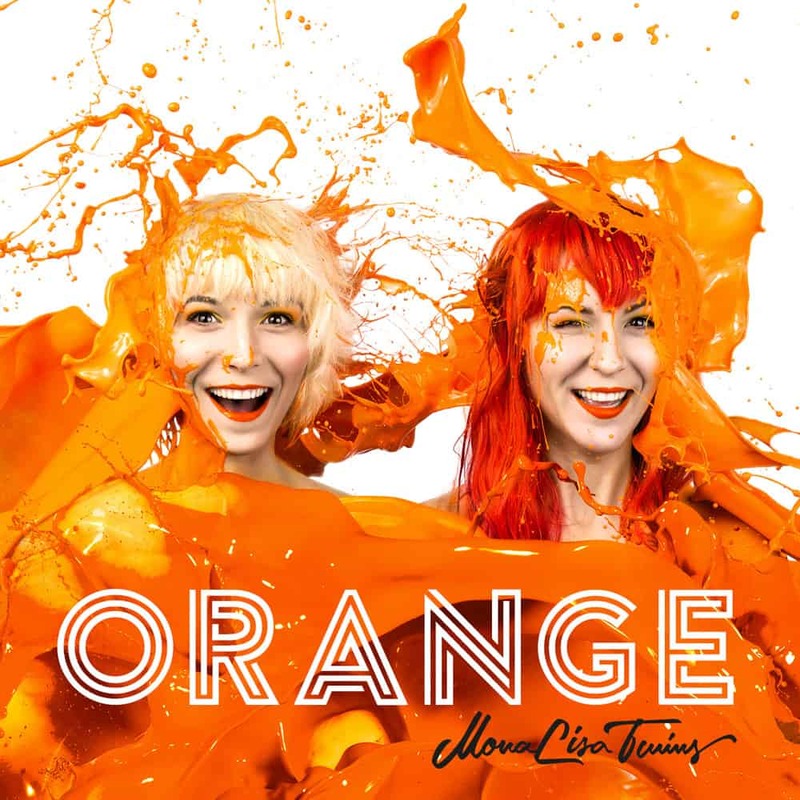 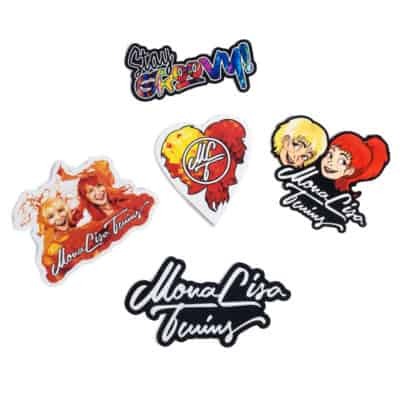 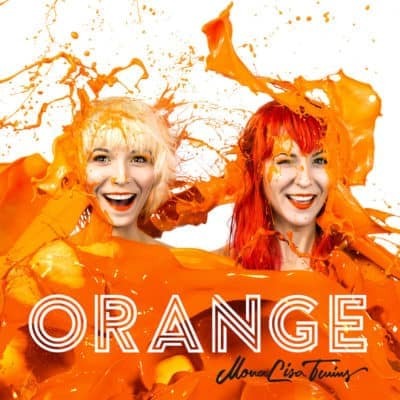 This ultimate bundle includes every new item released by the MonaLisa Twins alongside their second original album “Orange”. 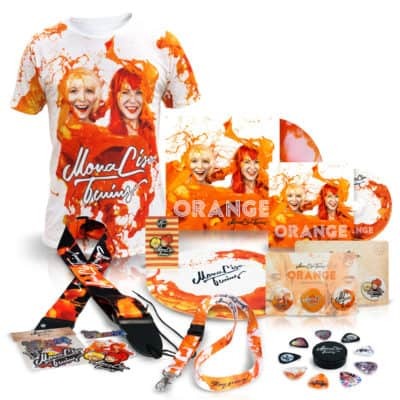 20 goodies including the new CD, the Vinyl, lots of apparel and accessories like buttons, stickers, a towel, a mug, guitar strap and guitar picks, and much more. 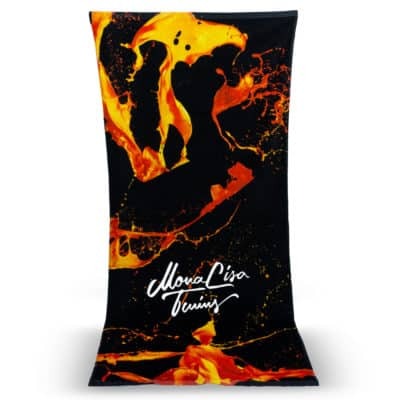 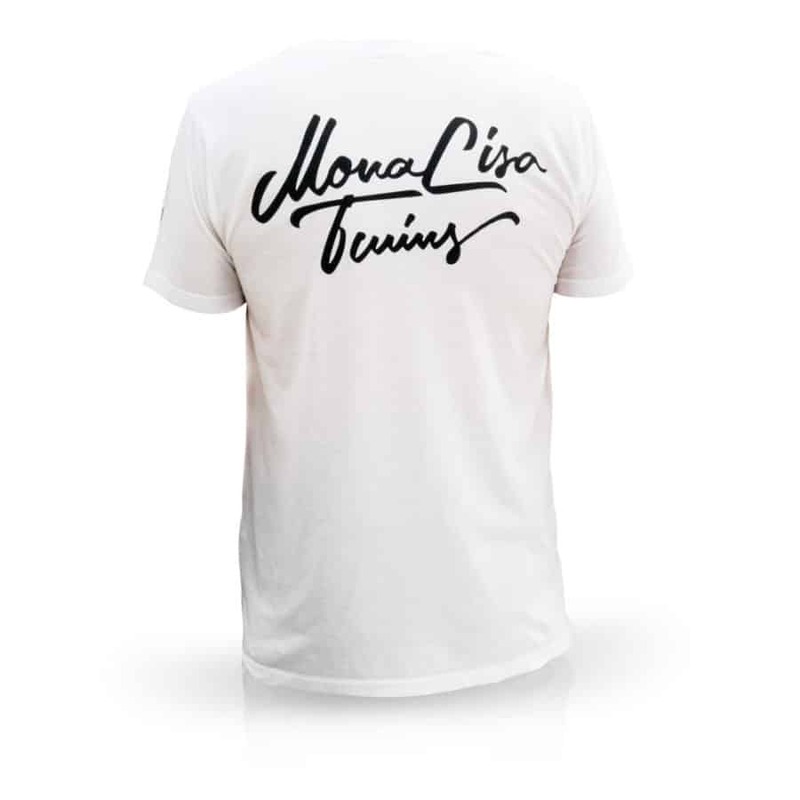 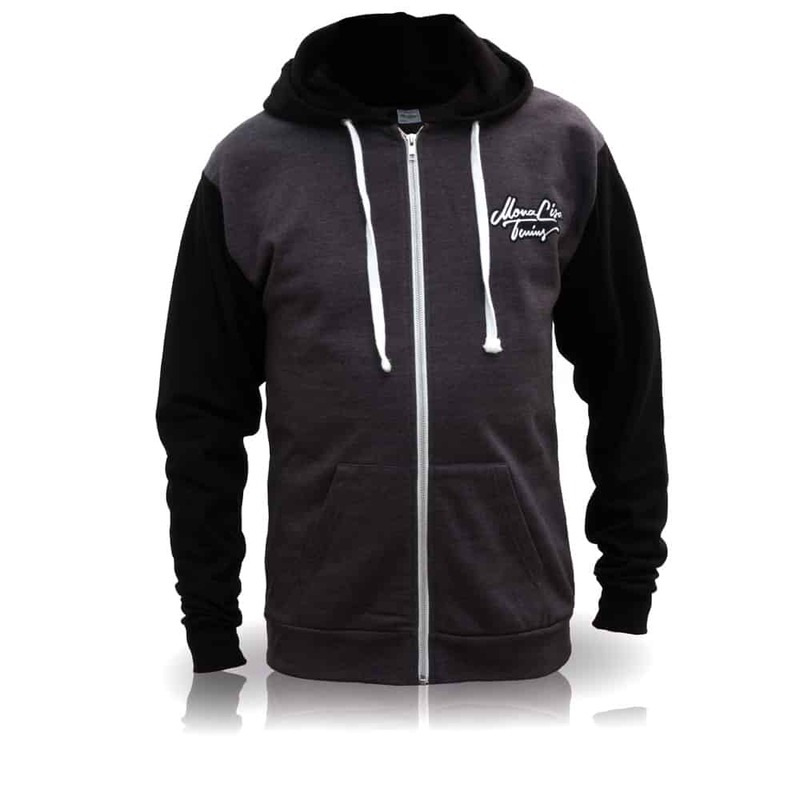 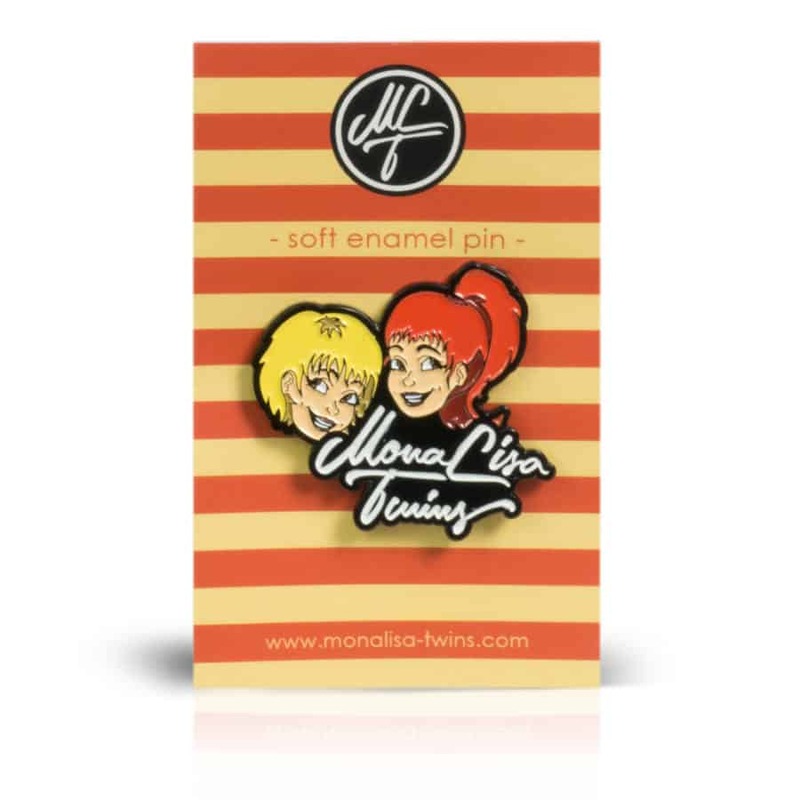 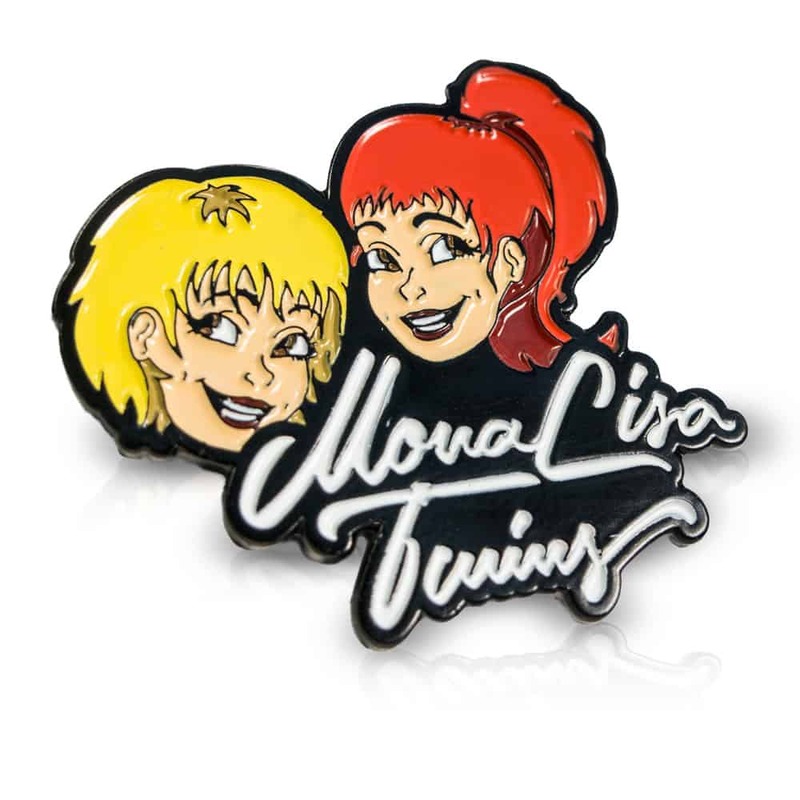 A fantastic way to show the world you’re a MonaLisa Twins fan while supporting the band in a big way! Unisex Hoodie "MonaLisa Twins Logo"
"Orange" is the MonaLisa Twins’ second original album and available on vinyl. 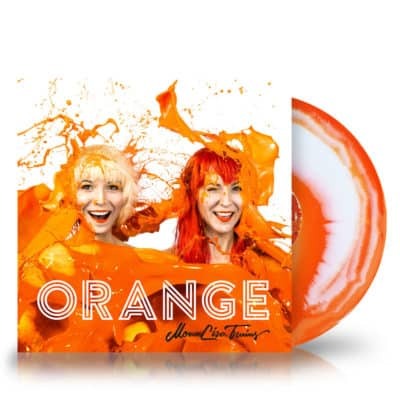 The disc is triple-coloured in orange and white tones which makes every copy look completely unique. 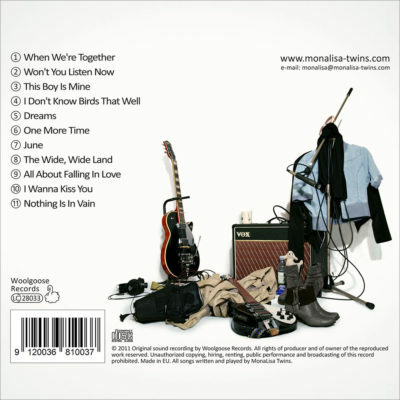 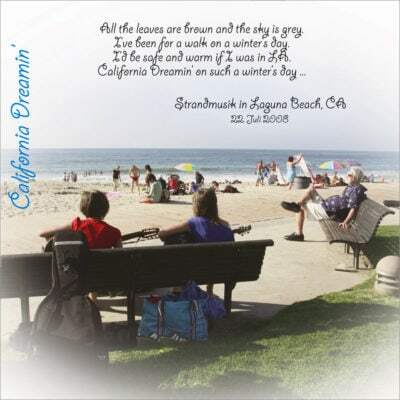 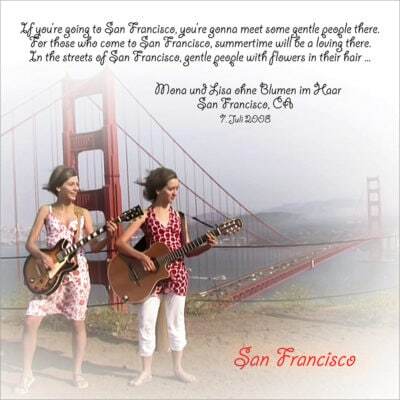 While staying true to their roots - The Sixties - in this album the Twins branch out into new territories of musical styles. 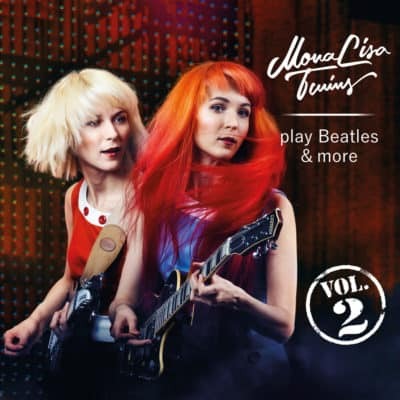 You can expect to hear a more experimental and very tongue-in-cheek side of the MonaLisa Twins. 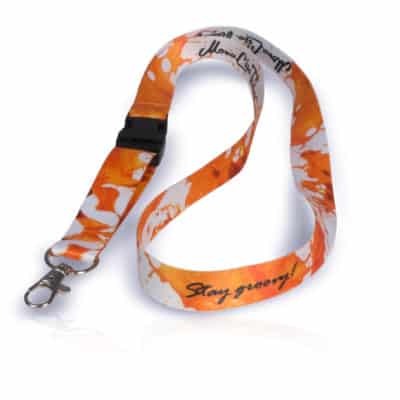 Full colour printed 100% polyester strap with leather ends and a handy “pick pocket”. 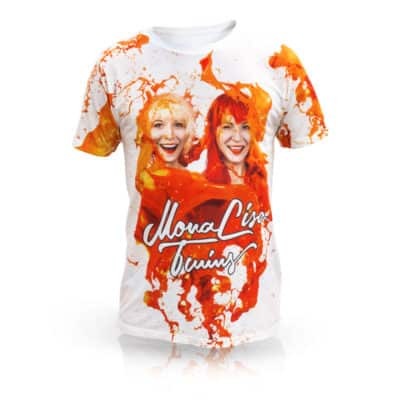 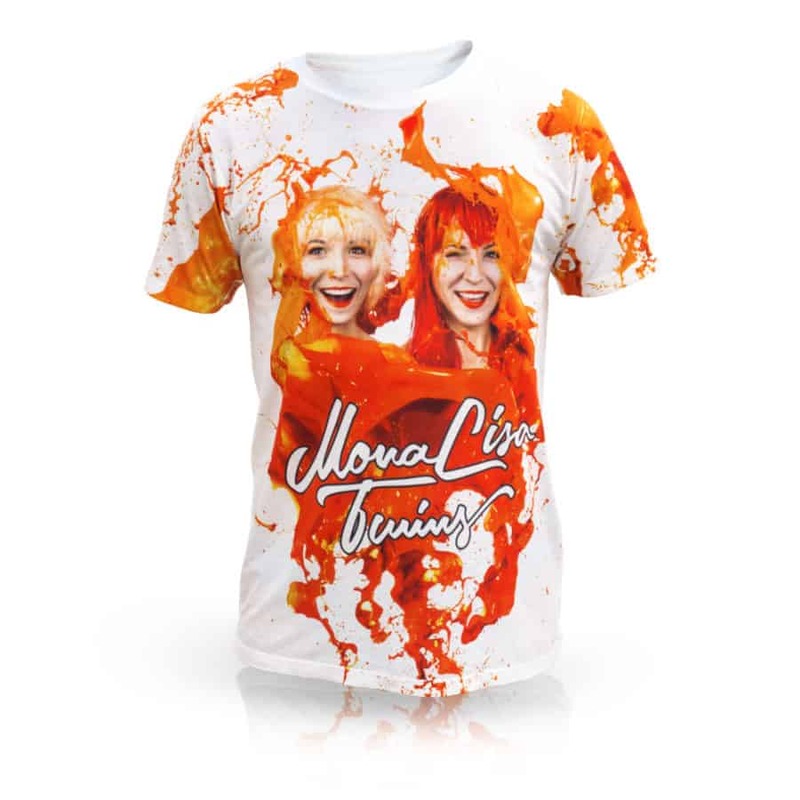 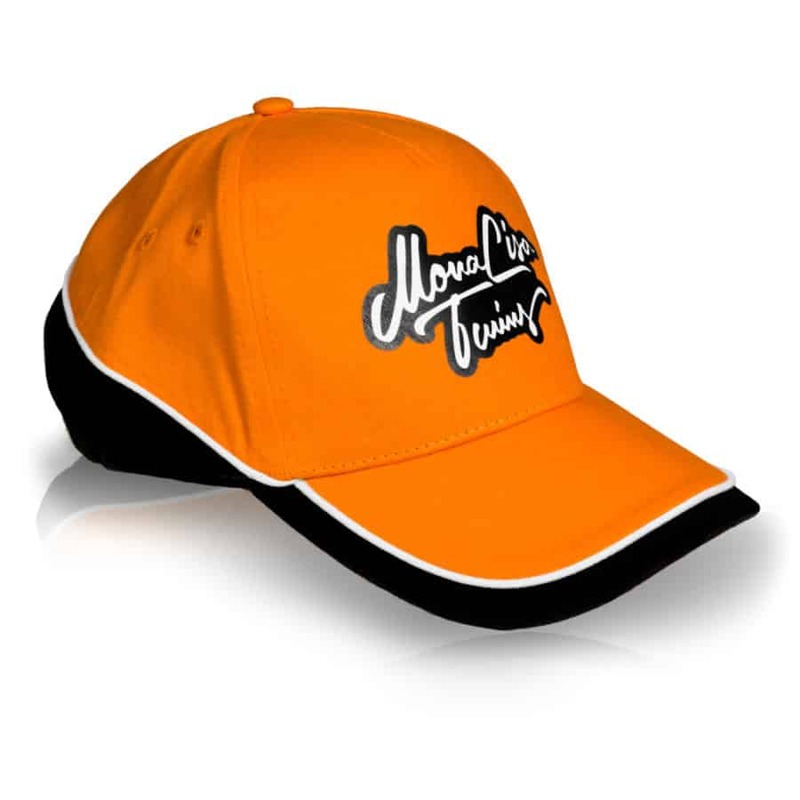 Designed after the “Orange” album it is perfect for every guitarist and MonaLisa Twins fan. 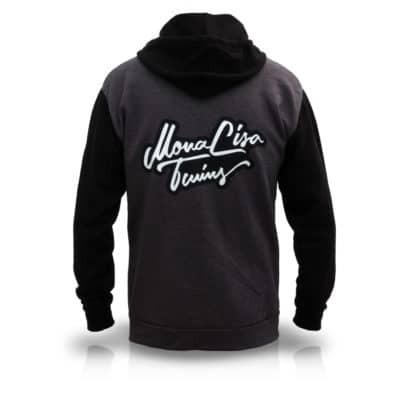 The adjustable size makes it comfortable for players small or big. 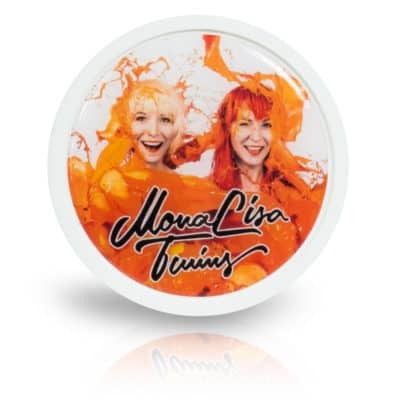 Slightly domed white magnet in round ORANGE design, analogous to the Twins’ second original album. It will stick to any magnetic, straight surface. 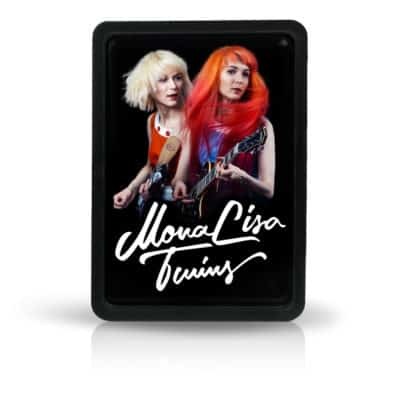 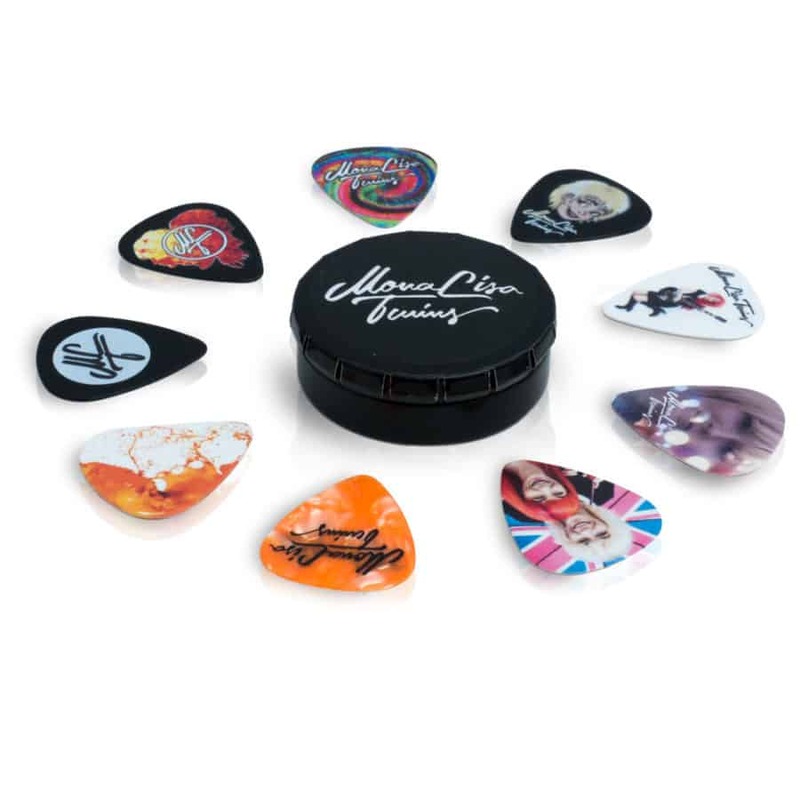 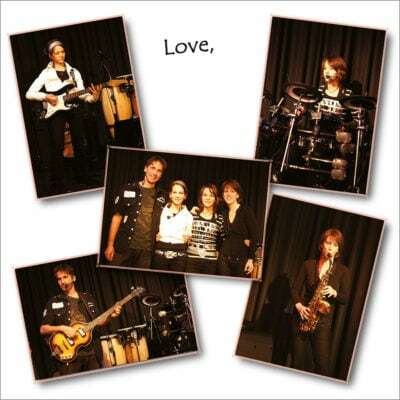 Slightly domed black rectangular magnet with “MonaLisa Twins Live” design. 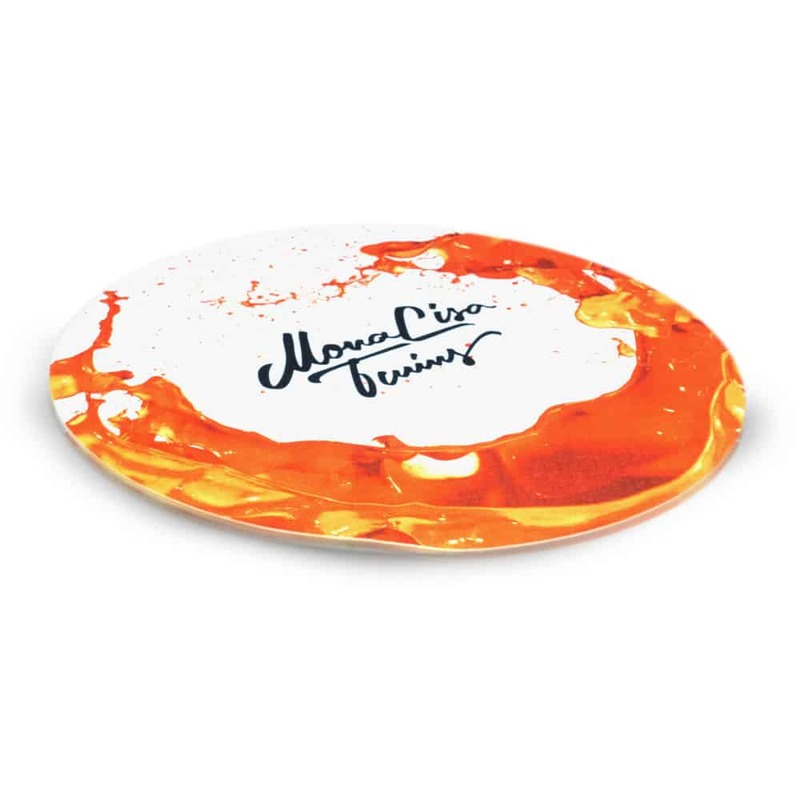 It will stick to any magnetic, straight surface. Universal keychain with the 2017 MonaLisa Twins logo made of antique silver metal with black and white soft enamel filling. 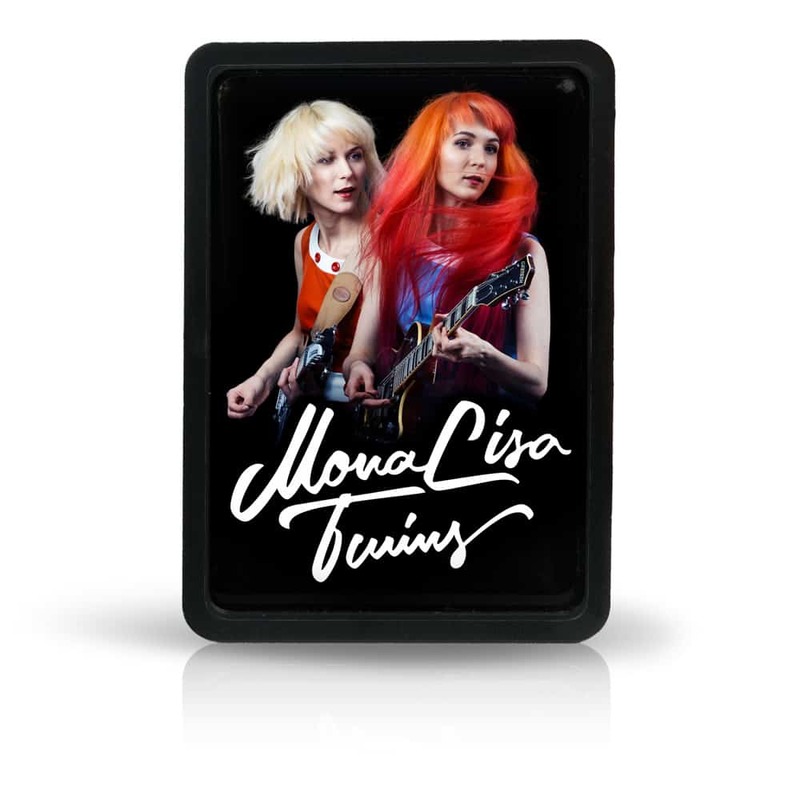 Woven iron-on patch of the 2017 MonaLisa Twins logo in black/white. 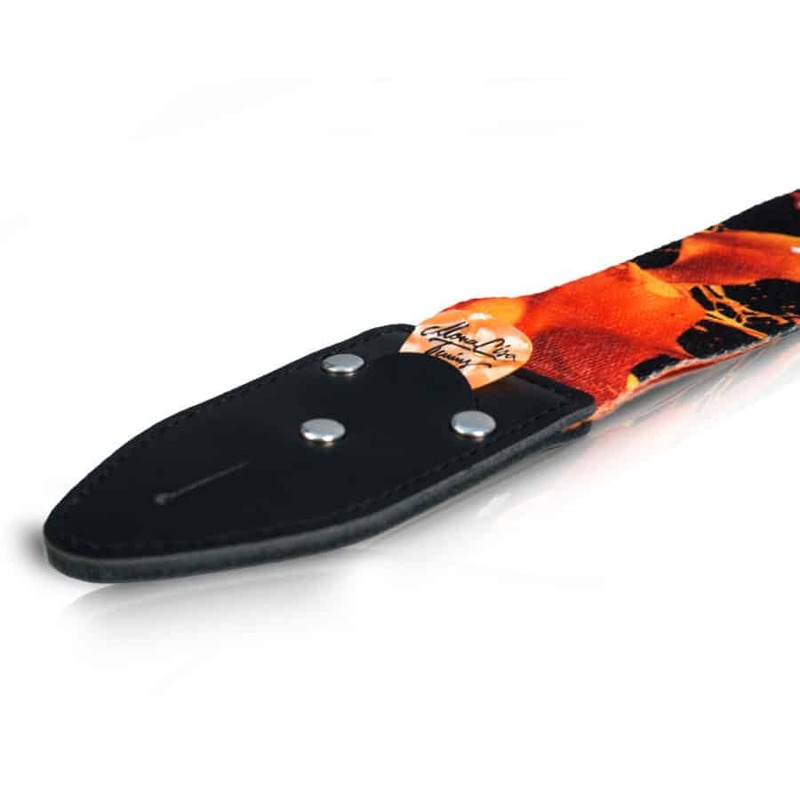 Easy to iron onto your bag, jacket, jeans or wherever else you want it with our home iron. The adhesive will last for up to 80 washing cycles. 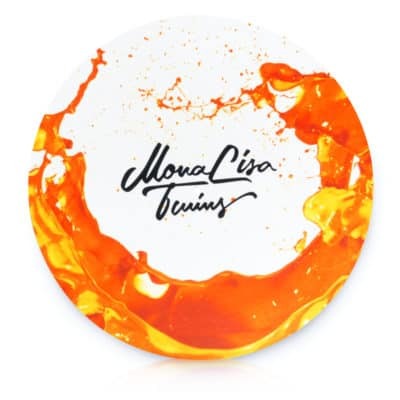 High quality coffee mug with the MonaLisa Twins ORANGE album artwork on white ceramic with orange glazed inside and handle. 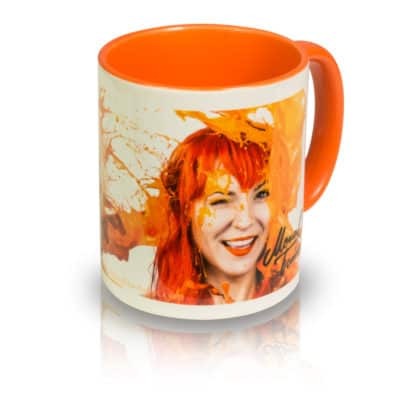 It’s the same mug brand as the other mugs to perfectly complement your collection. 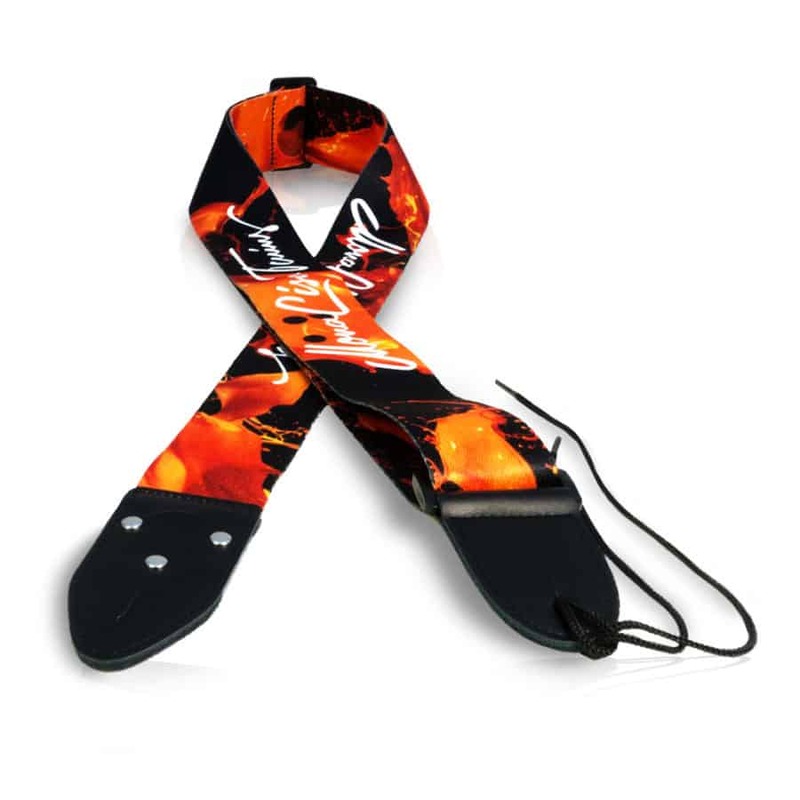 Please check the pictures and tabs below for more info.